Returning from a 30-day digital detox was harder than I could’ve ever imagined. For a whole month, I committed to being completely off social media. It was challenging at first, as re-programing any habits are, but so well worth the effort in the end. For a whole month, I took every single social media app off my phone, including email (to this day I’ve only put Instagram back). Seems trivial, yet so important. Did you do or try anything similar recently? How did it go? Being aware of how much and often mindless time we spend on social media, how it affects our attitudes towards ourselves, others and our precious delicate self-esteem are essential to being our best selves. Realizing and deciding is the first step to taking care of ourselves. I know I needed a breather. 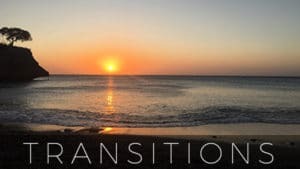 During that time, I did make an exception, just one, as I felt the urge to follow my children and husband’s Instagram stories (either on my laptop or someone else’s phone) while they were off downhill skateboarding in the Austrian and Italian Alps. Made me realize that this is now one of the only ways people stay in touch. We simply assume that those we care about are following us and no longer find the need to reach out. Do you agree? How do you stay connected? The timing was perfect as I was traveling with family in France and Italy. I took the time to enjoy the simple pleasure of life; the sound of crickets in the heat of the day, long leisurely walks, the local market, reading (actual books), long conversations with friends and family, naps, contemplating and planning the next projects I want to create for you and myself. I know, I could (or should) have made some Instagram stories every day for you, but instead, I simply took photos, documenting our adventures. Every few years my father gifts me along with all my siblings, their spouses, and children the opportunity to be reunited in a picturesque location. 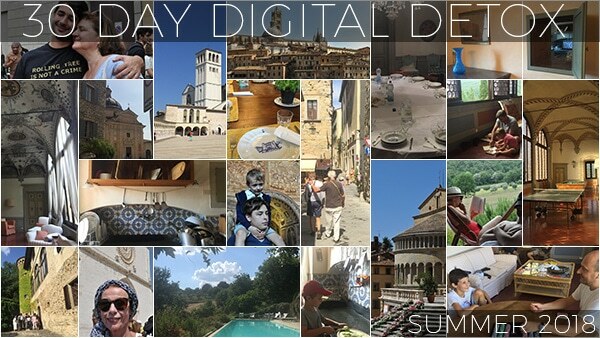 This year was no exception as we gathered in Tuscany, all 27 of us for two weeks in a spectacular setting (I shared a few photos here). Living the farthest from my family this meant the world to me, as I often miss seeing them on a regular basis. I’ve been back for almost a month and slowly (very slowly) getting back to the digital world. So my apologies for not having introduced myself in a while. Many new faces and names have appeared. Hello and welcome, thank you for being here I am grateful for your presence and support on this adventure we call life. I’m Jeanne-Marie, mother of two young adults; my son will be 18 tomorrow and my daughter just turned 22 last month. Oh my, how time flies! 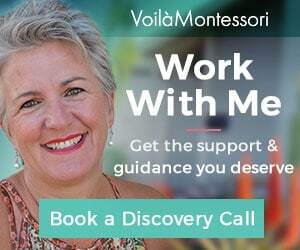 I created Voila Montessori to give you support, encouragement, and research-based knowledge as you embark on your parenting journey. I’m a Montessori Parenting Mentor and Home Consultant and absolutely love what I do. 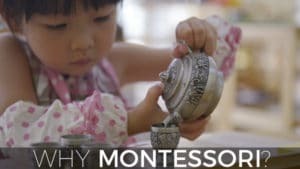 I’m passionate about sharing all things Montessori and Positive Discipline along with other concepts that I find compliments and enriches these principles. I have a Masters in Montessori Education and two AMI* diplomas; birth to three ‘Assistant to Infancy’ and three to six ‘Primary’ (*Association Montessori Internationale). Before working in a Montessori primary environment with 21 children ranging from 2.5 to 5.5-year-old. I worked in advertising as a graphic designer for 20 years, in Paris and then San Diego. All this before deciding to create Voila Montessori for you. Today, I’m super proud to be a newly published author with a mini guide from Larousse called “Les 50 règles d’or de la méthode Montessori” found here or in any French-speaking bookstores. Weekly, as I host my “Montessori Mondays” on my Facebook page answering all of your parenting questions, as well as share tips on how to incorporate Montessori and Positive Discipline principles at home. Monthly, I co-host “The Montessori Show” with Simone Davies. We are both Montessori guides and passionate about helping families understand and bring Montessori principles into their daily lives. To stay informed about the next shows and receive the private link to join us live, sign-up here. Annually, I host “Be the Best Parent You Can Be” an online interview series. October 1, 2018, I will be launching season 5, with 22 experts I have had the pleasure of speaking with. 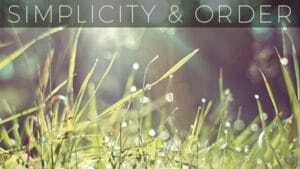 Here is your invitation to join me and receive your daily dose of inspiration. I was born in Tunisia in 1961. I’ve been a motherless daughter for 17 years. I was raised in a bilingual household and speak both English and French fluently. I’ve lived on three different continents, attended 9 different schools (on 2 continents) before graduating High School. I have 6 siblings from 3 different unions, a contemporary family of sorts. And now over to you, I’d love to know more about you and how I can be of support to you and your growing family.